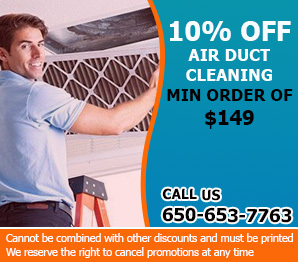 Our company is a leading provider of air duct cleaning services in California. We remove dust, pollen and mold from the HVAC ducts and repair them and sanitize them for best results. Count on us for professional HVAC unit cleaning and repair as well. Use our emergency air duct cleaning services and hire us for HVAC maintenance including condenser unit cleaning and filter replacement. Call us now. The general rule of thumb for air duct cleaning is approximately once every two years. The rate at which your air ducts need to be clean depends on the location of your home. Close proximity to industrial and commercial zones increases the amount of particulates and dust that may settle into your home. The seal of your home protects you from external contamination. We inspect your insulation for damaged panels. Draughts and leaks in your seal are often found around doors and windows. We use specialized equipment to identify draughts. Simply adding more insulation and sealing leaks in your home can save you hundreds of dollars a year on your heating and cooling bills. Older homes may have been constructed using asbestos insulation. Asbestos was used to insulate ceilings, walls and around pipes because of its fire retardant properties. The widespread use of asbestos lead to the discovery of asbestos related health issues in humans when airborne. A professional team is required to perform asbestos abatement. Do not attempt to disturb or remove asbestos from your home. Undisturbed asbestos may be inert, and moving it yourself could release fibers into the air. Your insulating layer should contain a vapor barrier. The vapor barrier keeps water vapor from entering your home. When water condenses in your home it becomes the perfect breeding ground for mold and mildew. Water may also enter the home through dehumidifiers that do not void water properly. All water should void outside of your home or into a proper drainage system. Molds and mildews create allergens that affect sensitive individuals. Certain forms of mold and mildew are known to create dangerous toxins that are harmful to everyone. Dry any spills in your home to avoid mold and mildew issues. Sanitize or replace any surfaces that have come into contact with mold or mildew to protect your family. We provide professional cleaning services for residential and commercial laundry dryer vent. Dryer vents and exhaust systems may become clogged with lint, compromising the efficiency of your machine. Clogged exhaust systems extend drying times costing your time and money. Lint obstructions in your dryer exhaust system can attract rodents and other vermin who use lint as a nesting material. We will clean your dryer vents and inspect for any leaks in your seal. When you have your air ducts cleaned, it is important to have all HVAC (heating, ventilation, and air conditioning) cleaned regularly. Sediments may accumulate in the moving parts, reducing the longevity of your equipment. Filters need to be cleaned or replaced regularly to ensure proper airflow. A clogged filter will decrease your air purifier’s ability to clean your air, and will have to run longer and harder to clean your air. Include HVAC maintenance in your annual maintenance plan. Protect your family with high quality indoor air. 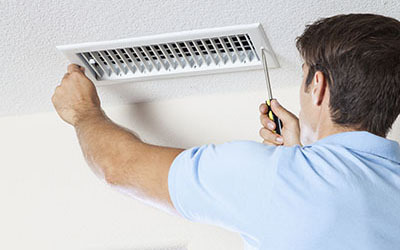 Air Duct Cleaning Burlingame specializes in air duct cleaning and HVAC maintenance. 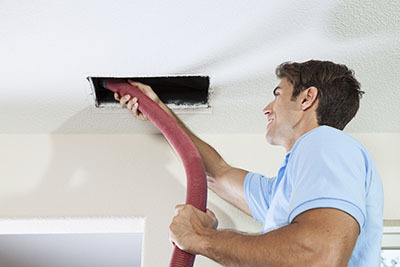 Our inspection services will help you create a home air duct cleaning and drought sealing plan.